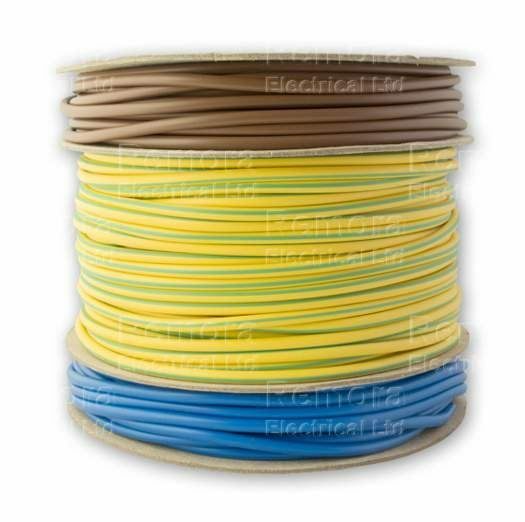 Our RoHS compliant high grade PVC flexible Earth Sleeving is manufactured from premium virgin grade compound in a wide range of sizes. Standard nominal wall size is 0.5mm, other sizes are available to order. Supplied with green and yellow stripes for use in earth identification and solid colour for electrical contracting purposes. Supplied in continuous 100m coils. Some sizes are available supplied on reels, please contact us for more information.